In any divorce where the parties own assets of value, there will likely be some transfer of assets between the parties as part of the divorce settlement. Assets that could be at issue range from tangible personal property (i.e. the pots and pans) to bank, investment and retirement accounts. In addition, the most valuable asset in many marriages is the marital home (and/or other real property). Although generally tax implications in spousal transfers are minimal there are some issues to look out for. Issue #4. PROPERTY TRANSFERS: Because some assets are post-tax (such as bank accounts) and some assets are pre-tax (such as retirement accounts or capital gains), it is important to understand the tax implications in dividing them. If you trade a pre-tax asset for a post-tax asset of equal value without taking into account the resulting tax liability then you've lost the value of the tax liability. Therefore it is important to understand which assets have tax liability associated with them and whether there are any tax liabilities created through transfer. PERSONAL PROPERTY WITHOUT CAPITAL GAINS: The transfer of personal property and bank accounts is simple. These items do not typically have any tax basis or capital gains upon transfer or sale because their value is either minor, depreciated, or, in the case of bank accounts, the appreciation is minimal. PERSONAL PROPERTY WITH CAPITAL GAINS: Similarly, the transfer of property assets with capital gains implications is relatively simple. Pursuant to § 1041(a) of the Internal Revenue Code transfers to a spouse do not result in a gain or loss. This is also true for transfers to a former spouse if the transfer is incident to a divorce. This means that a stock transfered to a spouse or former spouse will maintain the same capital gains characteristics (and tax liabilities) as it would have had in the original spouse's possession. This is also true for an investment account, collectible, or house. RESIDENTIAL REAL PROPERTY: In the case of residential real property there is a potential benefit to selling the house while still married instead of transferring it between spouses. There is a capital gains exclusion for profits realized on the sale of a residence and it is doubled for spouses. If the parties divorce and one party transfers their interest to the other, and that former spouse then later sells their interest in the residence they will only have the single capital gains exclusion. Of course, this only matters if there is significant equity in the residence. RETIREMENT ACCOUNTS: Retirement accounts are not typically transferable between anyone, even spouses, without tax consequences. In order to transfer funds held in a retirement account the owner must first remove them from the retirement account, which, if allowed by the rules of the plan, will result in taxable income and, prior to retirement age, tax penalties. However, in the event of a divorce the IRS allows a one-time transfer by Qualified Domestic Relations Order (also known as a "QDRO"). A transfer of retirement account between former spouses pursuant to a QDRO results in a new retirement account held in the name of the other spouse in the amounts and per the terms specified in the QDRO. The retirement income paid from said account will be taxable income upon receipt just as it would have been to the original owner. 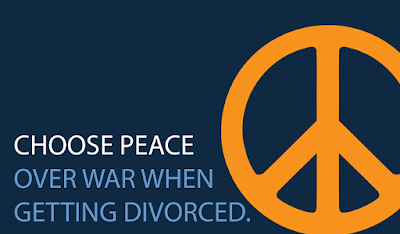 Click here to read Divorce and Taxes: Issue #5. Joint Tax Liability.